MOUNTAIN VIEW, CA: As part of its efforts to become a "more global company," Chinese e-commerce giant Alibaba will spend $215 million for a stake in mobile messaging app Tango. Shift Communications, Tango’s AOR since last March, is helping the company with communications for the transaction, an agency representative confirmed. Alibaba has worked with Sard Verbinnen & Co. in the US, according to a company representative, although it was immediately unclear whether the firm was handling financial communications for the Tango deal. Representatives from both companies would not disclose communications strategies surrounding the investment, which Alibaba announced on Thursday. 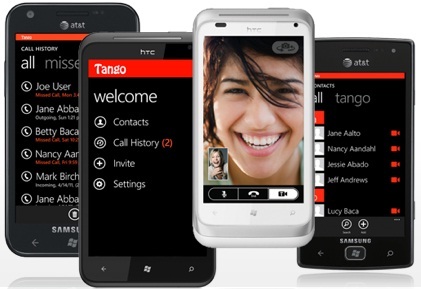 Tango, a four-year-old app that can enable video and voice calls along with text messaging, has 70 million monthly active users. Thirty-one percent of users are from North America, and 29% live in the Middle East. Tango earns half of its revenue from advertising and the other half from deals with game makers, having distributed 30 game titles in the last eight months. Last October, the company partnered with Spotify to let users share music clips. Alibaba did not discuss how it intends to benefit from its investment in Tango, according to a Computerworld report, which added that Alibaba has been developing apps in China to make more of its services available on smartphones, tablets, and its own mobile operating system. This is the latest US investment for Alibaba, which over the last six months has put money into companies such as online retailer ShopRunner and app search engine Quixey. The deal comes weeks after Facebook announced its $19 billion deal to buy messaging service WhatsApp. Brunswick Group is handling comms for Facebook’s planned acquisition. Last month Japanese company Rakuten also bought messaging service Viber for $900 million. Apps like Tango, WhatsApp, and Viber allow users to make free calls and send free texts over a data collection, posing a potential threat to traditional, fee-based carriers. The investment follows Alibaba’s confirmation on Sunday that it will file for an IPO in the US with the goal of expanding globally. Analysts said it could fetch a valuation of well more than $130 billion.